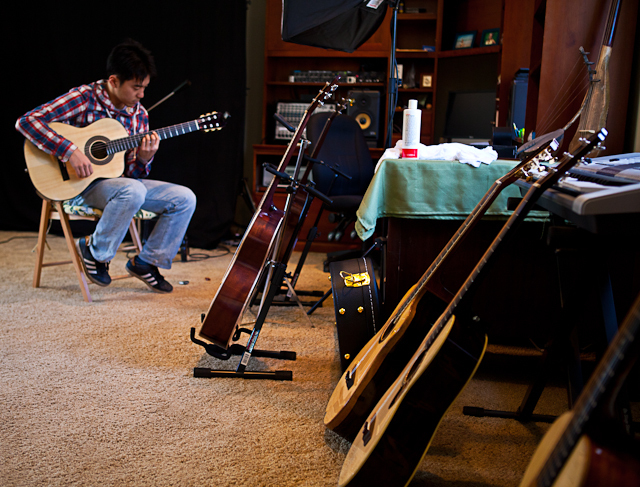 Working with talented musicians to design their dream guitar is the very best part of being a custom guitar builder. We are proud to announce that Jay will be building a custom handmade acoustic guitar for Shohei Toyoda. 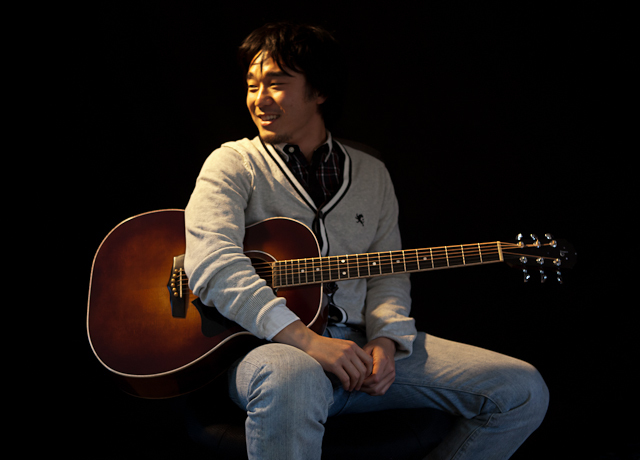 That Shohei will be showcasing Lichty Guitars each time he performs on stage, each time he sits one-on-one with his students playing his custom Lichty Guitar is a true honor. Shohei is building an international fan base, enchanting audiences both in the States and in Japan,with his amazing guitar skills. Shohei’s original compositions touch heart and soul, his renditions of classics delight. Born in Japan and raised in Ohio, music has been a part of Shohei’s life from a very early age. 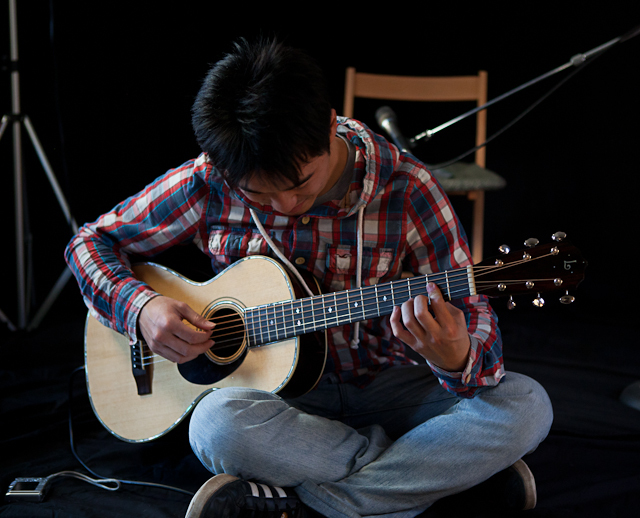 He is a graduate of Berklee College of Music and is winning awards and gaining international recognition. In 2010 he was chosen as one of the top 16 guitarists to compete in Japan’s National Finger Picking Contest and he followed this with a two month / 30 show tour in Japan. In 2011 he landed two prestigious awards: Placement in the top five at the 2011 International Finger-style Championship in Kansas and Grand Champion at the International Thumb Picking Contest in Central City, Kentucky. 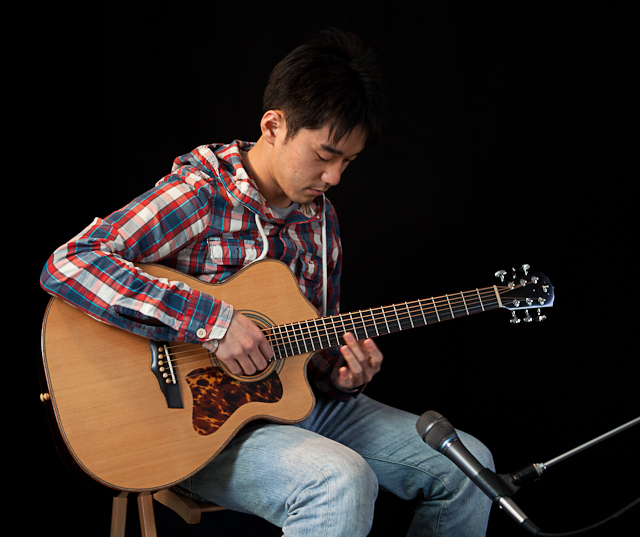 Shohei now resides in Japan where he performs and teaches private lessons for all skill levels, from beginner to advanced. To hear his music is a true gift. To experience what happens when he picks up and plays a Lichty Guitar is jaw-dropping. 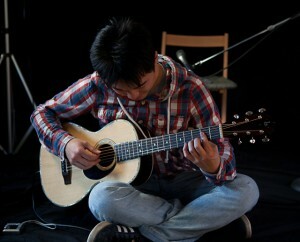 So, put Shohei and Jay together to design a dream guitar and it’s powerful stuff! 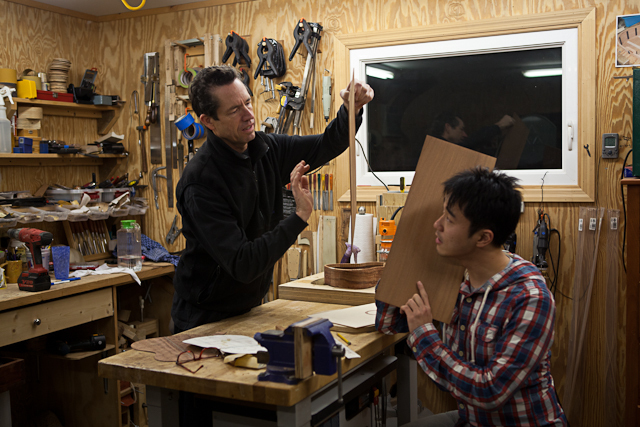 At the end of the day, Shohei and Jay discussed all the different design aspects and then went to the shop to sort through the wood pile, finding the perfect set of figured mahogany, of spruce, of rosette material and on for Shohei’s custom guitar. Click here to see pictures of this guitar being built every step of the way. 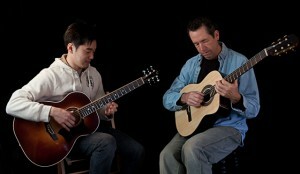 Learn more about stellar professional musicians who play custom Lichty guitars.